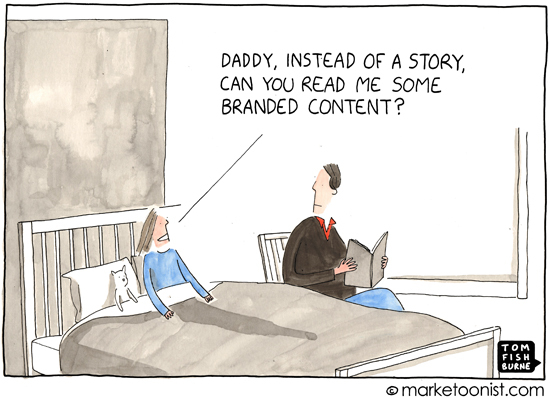 The cartoon above from Tom Fishburne in 2013 perfectly sums up this blog post. In my list of some of the 170 blog posts currently in draft that I am hoping to finish over the Christmas break, this one on “native advertising” jumped to the top of the pile when I saw an excellent segment on “Last Week Tonight with John Oliver“. In this piece, he nails the issue with “native advertising” in a much better way than I had planned for my post. You can watch the full segment below. If you don’t have time to watch the video, or are currently reading this on a mobile, below are the best bits. And this is the fundamental problem I have with “native” advertising – it is still ADVERTISING. 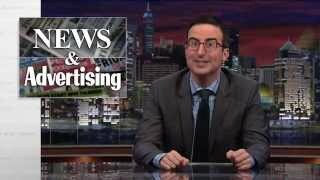 What John Oliver’s piece highlights is that advertisers and publishers have seen the squeeze in traditional advertising, no matter which way you look at it, and they need to find new avenues for revenue. Enter social media, and the thirst for content, and this is why organisations such as BuzzFeed exist. My beef with BuzzFeed though is that it is “dumbing down” social – with “top 10 ways to…” type posts as an excuse to hang an ad that we’re really not interested in – it is lazy marketing in my opinion. They have even built an entire company around “branded content” as their CEO below explains. Publishers such as Time Inc have jumped on the bandwagon and set up entire “native advertising” departments. The Time CEO is quoted below as saying that it’s ok as long as the consumer knows the difference. 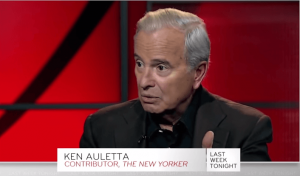 But here’s the difference – as Ken Auletta said above “..we will camouflage your ads to make them look like news stories“. So if the ads are deliberately camouflaged, how can the average consumer tell the difference? Some 6 months later, the UK Advertising Standards Authority ruled that Nike’s use of the personal accounts of footballers Wayne Rooney and Jack Wilshere broke rules for not clearly telling the public their tweets were ads. While I think the general public are aware some of the time when they are being served ads dressed up as “branded content”, I fear that advertisers and publishers will work harder to camouflage the content. But this “branded content”, or “native” advertising is not new. Well before social media existed, celebrities have been “endorsing” products for years. While many of us expect that if a celebrity mentions a product, then they have been paid to promote it. The current techniques sail closer to the wind. The issue of social media “influencers” is still close to my heart as I ran the influencer platform Kred for 2 years from 2011 – 2013. You can expect some posts in the coming months that will blow the lid and expose the secrets of “influencer marketing” – and it is not pretty. One thing we’re going to see more of in 2015, if we like it or not is “native advertising”. Let’s hope consumers see through these tricks and “branded content” dies a horrible death and instead consumers are given more control over what they see – and what is relevant to them, otherwise I fear 2015 will become “10 things I hate about native advertising”. What is your view? Please leave a comment below or tweet me @AndrewGrill.